St. Monica our Patron Saint was born at Tagaste North Africa in the fourth century. There in the year 354 Saint Monica's son, Saint Augustine, was born. Saint Monica instilled into the heart of her son the truths of Christian belief. 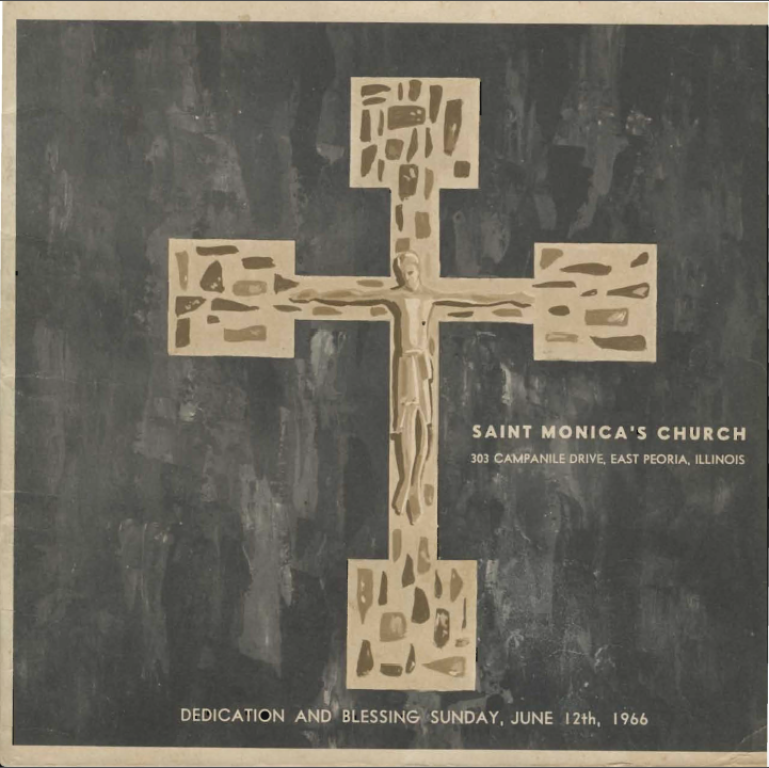 Saint Monica converted her pagan husband by the power of her prayers and her Holy life. After her husband's death she suffered intense grief when her brilliant son, Augustine, went astray in morals and faith. A saintly bishop consoled her with the words, "It is not possible that the son of so many tears should perish." Saint Augustine went to Carthage then into Italy, but his mother followed him praying constantly. Then at Milan, Italy li.e was guided by his saintly Mother's prayers to the great Bishop Ambrose and then he returned to the true faith. St. Augustine's marvelous conversion turned Saint Monica's sorrow into joy. Saint Monica and Saint Augustine started to return to Tagaste but she died enroute at Ostia, Italy while waiting to board the ship. She died happy knowing that her prayers were answered in her son's return to christianity and her husband's conversion. What better prayer for us? "0 God you are the comfort of those who mourn and the savior of all who trust in you. Blessed Monica's loving tears moved you to convert her son, Augustine. May we also grieve for our sins and win the grace of your pardon through the intercession of these two saints. Through our Lord." Please click the image below to read about our parish history.